What’s going on in Wisconsin is the very definition of illiberal government — government where “might makes right”. Outgoing Republican Governor Scott Walker is working with the Republican legislature in Wisconsin to rush through a bill to significantly reduce the powers of Democratic Governor-elect Tony Evers and the Democratic Attorney General. And without any material explanation of a civic purpose for these proposals. Rather, it’s simply about increasing the influence of the Republican legislative branch at the expense of the soon-to-be Democratic executive branch…and after having done the opposite when Republican Governor Walker was elected. It’s about changing the legal rules when it’s to your advantage (and you have the power) to do so. It’s about having no tolerance for the other side. It is tragic that Americans on the political left didn’t choose the word “Progressive” to describe their politics long ago. Perhaps Republicans would have demonized the word “Progressive” instead of the word “Liberal”, and a couple of decades later Democrats wouldn’t also have run away from the term. 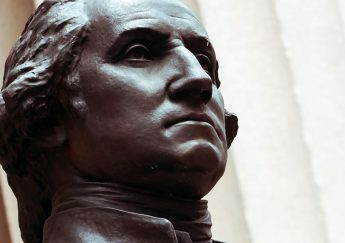 Perhaps then Americans of all political stripes would have continued to embrace the word “Liberal”–with its belief in constitutional government and the rule of law; hostility to concentrated economic, political and religious power; a belief in tolerance; respect for people’s individual rights; and a faith in progress. (This is Edmund Fawcett’s definition of liberalism from his book Liberalism: The Life of an Idea and I truly believe that the overwhelming majority of Americans embrace these values, if not the “Liberal” label.) And perhaps then we as a nation would have been inoculated from the election of the illiberal President Trump (or, if elected, his illiberal instincts would be less), as well as what is now happening in Wisconsin (and apparently in Michigan, and the illiberal power grab that already happened in North Carolina and is currently being litigated). I hope that some of the stories about President Bush this week will help people focus on what has been lost since his time, and how our historic heritage is to act more like him, not like too many of our politicians act today. It would be fitting for someone with President Bush’s character to be able to continue to give to his country even at the age of ninety-four, even in his passing.